Remember when you were a kid and painting was so much fun? Well those days are back, Come with your friends or come alone. Leave with a unique piece of art! 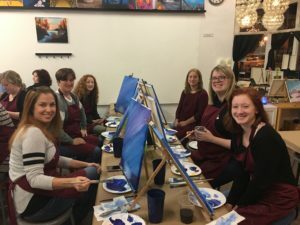 You and your friends can enjoying social time while you experience of painting on canvas! 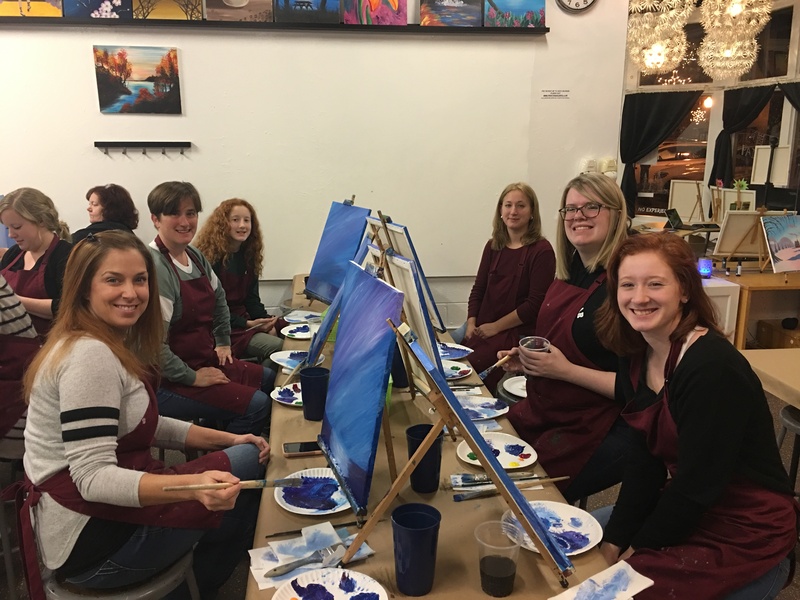 Painting Escapes is a “paint and sip” Art Studio is a comfortable, Judgement-Free, fun and hip Art Studio with an exciting social flair. 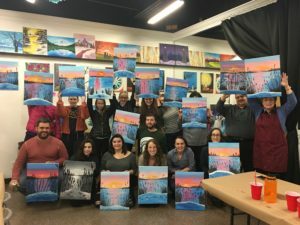 Our professional Art instructor will guides you through a 2 to 3 hour acrylic on canvas painting class while you enjoy your favorite non-alcoholic beverage and snacks. 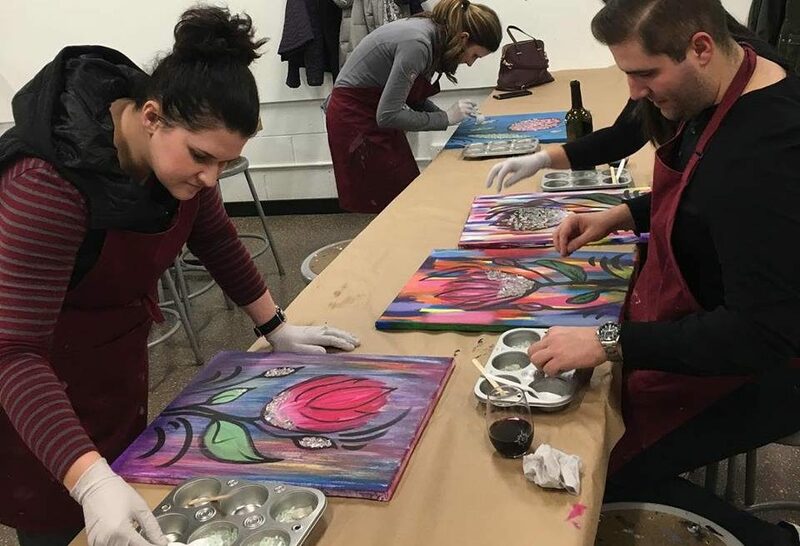 All Art supplies are included with the class such as brushes, paints, canvases, easels and aprons, and every class is taught step by step so there is NO EXPERIENCE necessary! Everyone paints the same painting. One of our talented local artists guides you through the painting, step by step in a 2 or 3-hour session and you will go home with your own masterpiece! Even though the paintings may all start out the same, but you will see how completely different everyone’s turns out. That’s because we encourage you to make it your own! We provide you with a pre-sketched 16 x 20 stretched canvas, paints and brushes, an apron and a creative atmosphere and lots of encouragement. 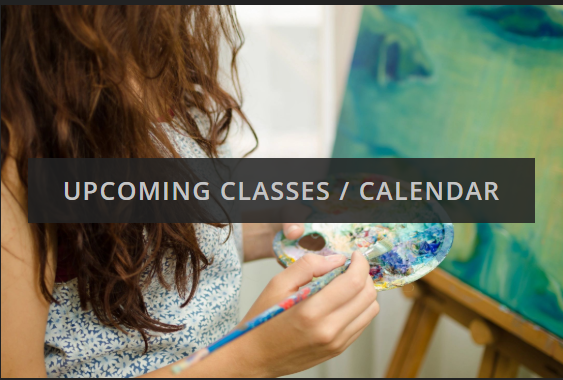 Note: To guarantee a seat in a class at Painting Escapes, please make a prepaid reservation. You can make your reservation through our website or call and we’ll take your credit card information over the phone. Love the idea? Book a Private Party! or whatever else you can imagine! Host a picture perfect party your friends won’t forget! All supplies are included! 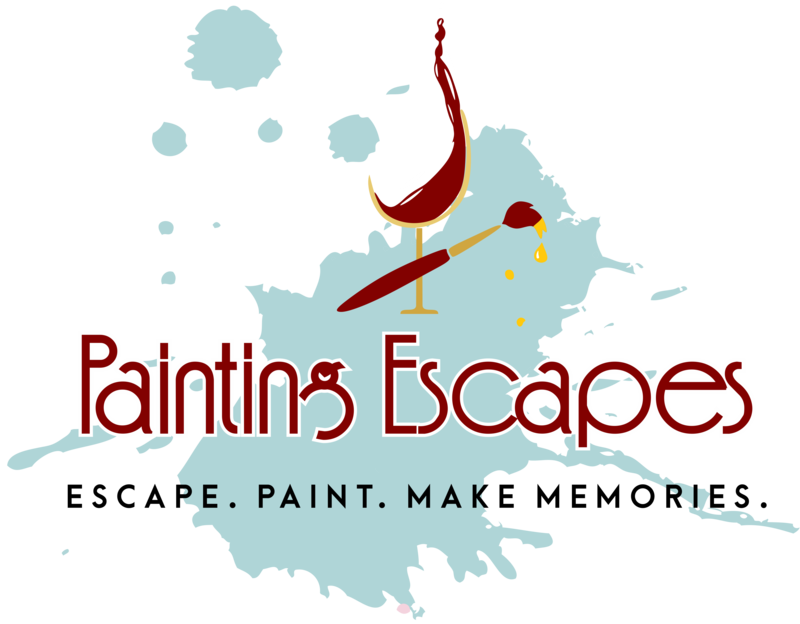 There are no additional charges to book a private party at Painting Escapes!! Just select a painting from our portfolio, bring your own beverages and snacks, and leave the entertainment and clean-up to us!! Every month we will post on our Painting Escapes Facebook page when the next month’s schedule has been posted. We’ll also include a coupon code in these notifications. Our monthly coupons are only valid for a few days so act fast! 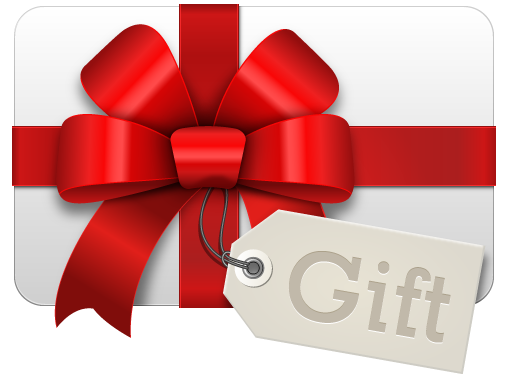 If you are part of our mailing list, you also be notified of the monthly coupon code. This gives frequent customers the chance to save on every session as opposed to remembering to bring a frequent customer punch card for 10 sessions in order to get a freebie!